I’m currently on vacation in Edmonton visiting family. While here, I am on the hunt for shopping deals (save the PST! 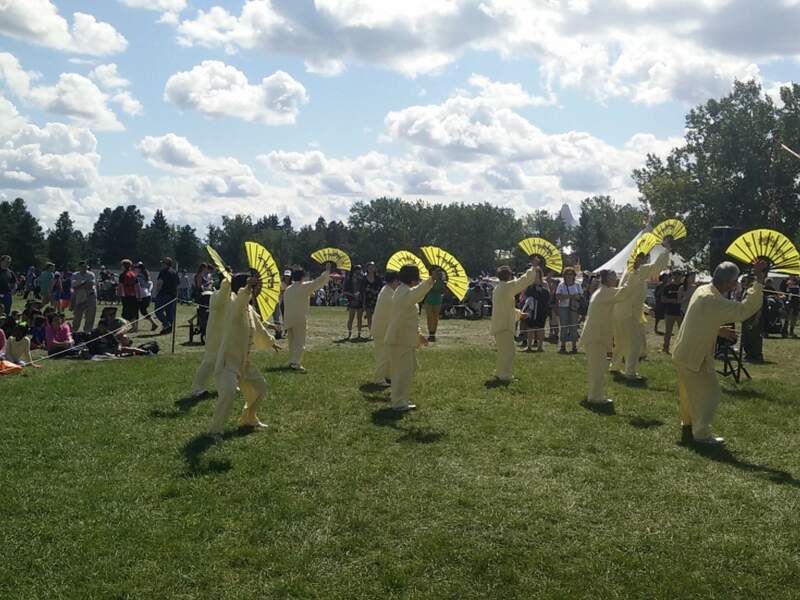 ), new restaurants to try, and places to see and experience including this year’s Servus Heritage Festival in Hawrelak Park. 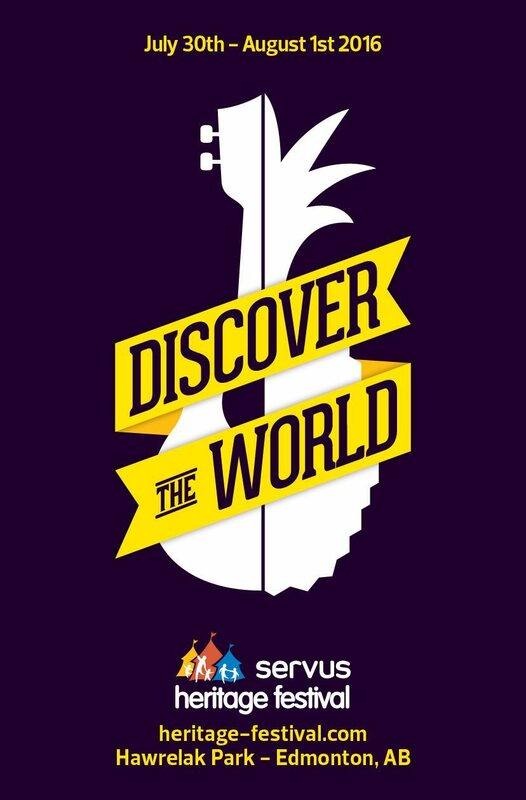 This festival is a multicultural festival of food and cultural performances. I was really excited to check out this event on the Monday before they closed. I was forewarned that 1) it is super busy at this festival 2) there’s lineups for the food 3) parking would be problematic so be prepared to transit or walk. Luckily for us, my family and I were dropped off at the Drop Off area outside the park, where we then walked in, while my hubby went to park the car at the Park & Ride. Note: paying for Park & Ride doesn’t mean the shuttle is free. You still have to pay for the shuttle to the park. Overwhelmed by the brochure that outlined all the different pavilions of food in the park, I couldn’t decide what to try. We had just finished lunch and had dinner plans, so needed to ensure I was sharing everything and wouldn’t get too full for dinner. So I ended up targeting mostly sweet dishes and places with short lineups. Tickets were $1 each, with drinks $2-4, desserts $2-5, and entrees $4-8. 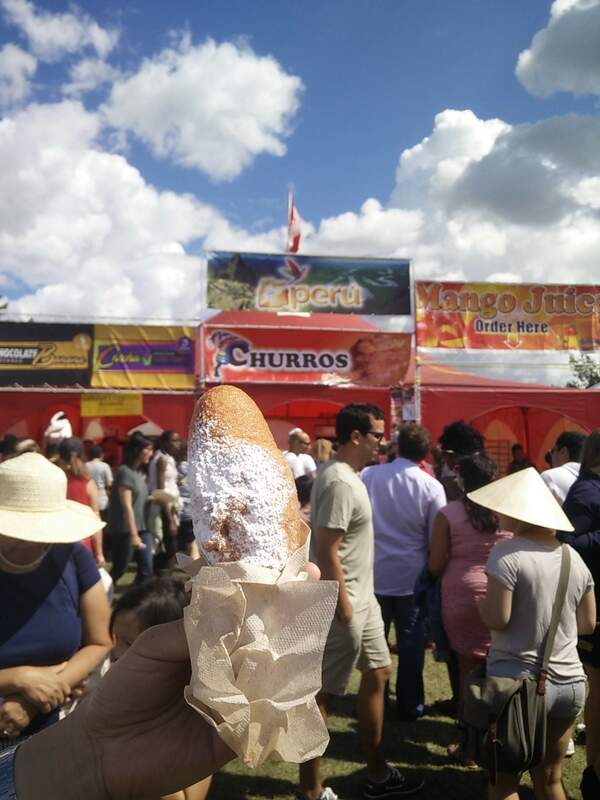 Our first new foodie dish at the festival was the Peruvian Churros Relleno – a deep-fried dough filled with manjar caramel sprinkled with cinnamon and icing sugar. It was fried fresh, with the caramel oozing out of the dough as you bit into it. My sis-in-law doesn’t normally like caramel however this was light and not too sweet so she enjoyed every bite of it. We worked our way around the park, avoiding the large lineups to purchase Croatian Donut and Romanian Scovergi – which are their country’s version of elephant ears. I was really tempted to purchase one as almost everyone walking by had a plate of elephant ears in their hand, however the lineup would’ve been 30-45 minutes! 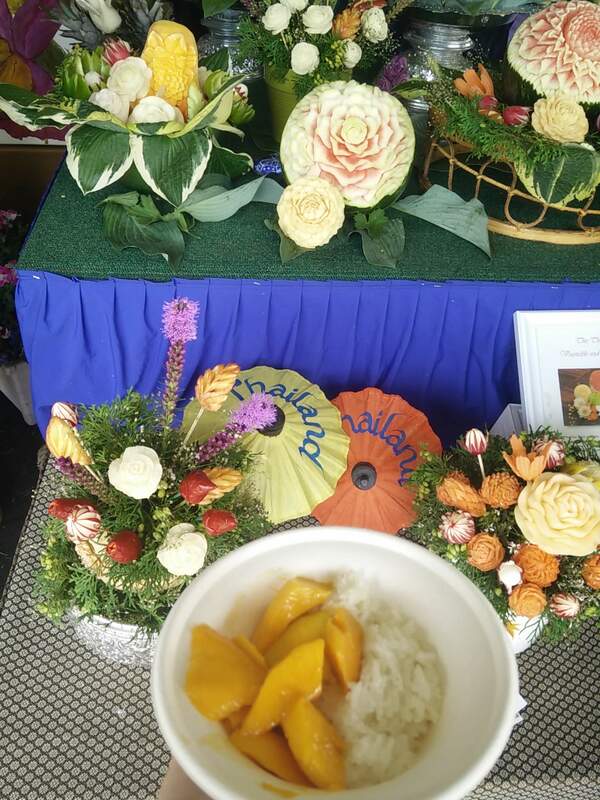 Instead we chose to head to the Thailand pavilion for some Mango with Coconut Sticky Rice – which consisted of slices of ripe mangos on top of coconut milk sweetened sticky rice. It was one of my favourites while travelling in Thailand, and continues to be one of my preferred choices of desserts if featured on a restaurant menu. 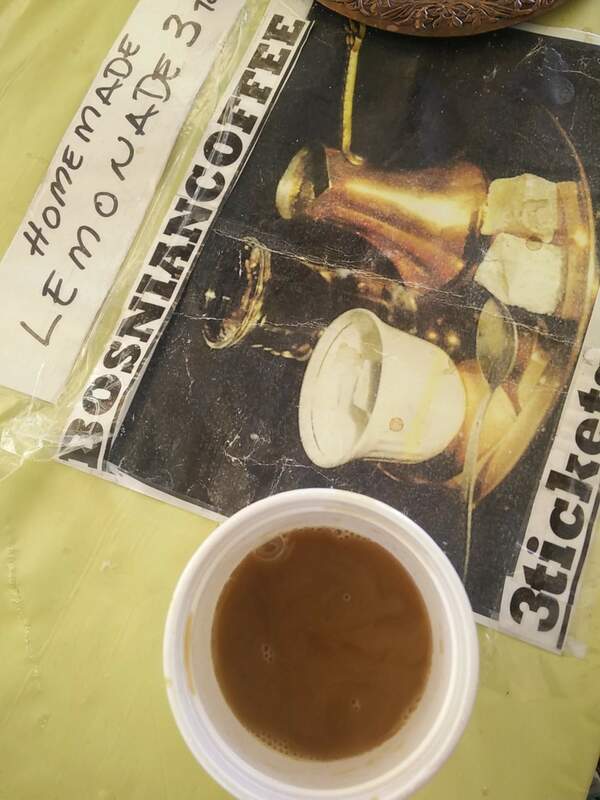 I was curious about how coffee deferred in other parts of the world, so I convinced my bro-in-law to try some Bosnian coffee. Let’s just say it wasn’t our cup of joe, and we’ll stick to the ones here in North America! 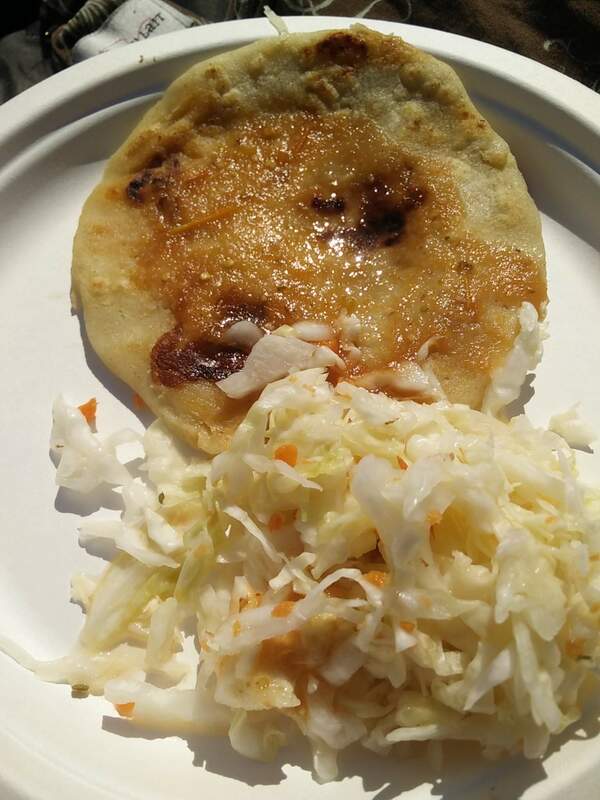 My in-laws hadn’t tasted a pupusa before, so we stopped off at the Guatemala booth that was selling pupusas – flattened corn dough stuffed with pork, beans, and cheese served with a spicy sauce and pickled cabbage. I’ve had some amazing pupusas back in Vancouver, so this was a bit underwhelming, however for my in-laws first time, they really enjoyed this dish and were talking about how they could make it at home. There are a number of stages at the various pavilions that showcased different cultures of live art performances. 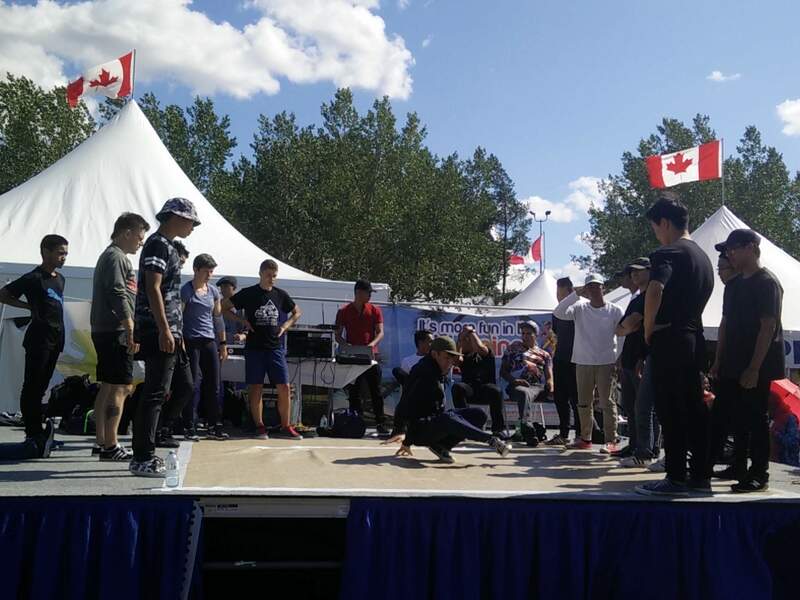 We stopped at the Hong Kong pavilion to enjoy some tai chi performances, and were really impressed by the youth breakdancing talent at the Philippines pavilion. 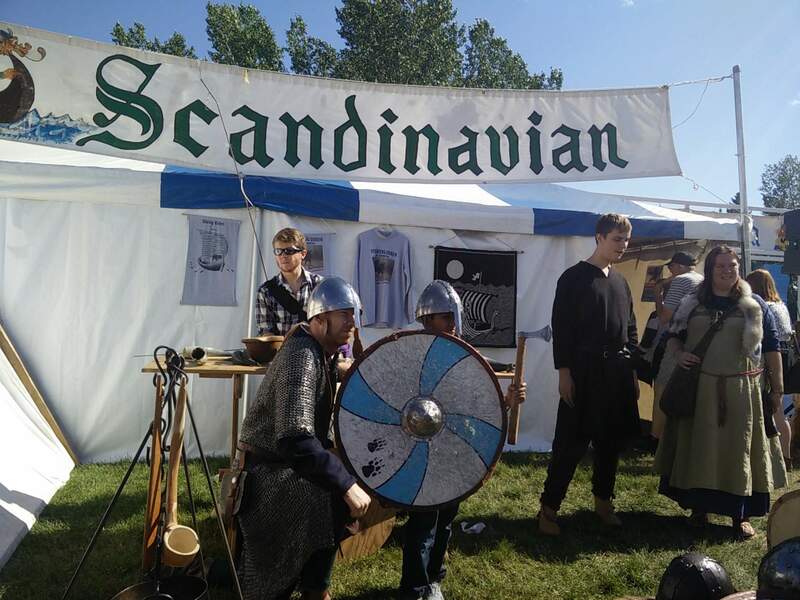 At the Scandinavian pavilion visitors had the opportunity to dress up like Vikings! We ended up using up our tickets at this pavilion buying a Kringle – an almond topped pastry that reminded me of a thin Danish. I couldn’t believe the size of this festival and look forward to future years when I can come and eat either lunch or dinner there and try some of the specialty entrees. For more info on the Heritage Festival, visit: http://heritagefest.ca/.